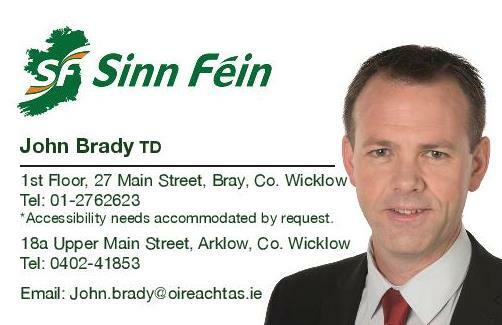 Sinn Féin spokesperson for Employment Affairs & Social Protection John Brady TD has criticised Minister Doherty for failing to turn up to the Dáil debate on the over-due provision of pensions for Community Employment Supervisors and Assistant Supervisors. “Minister Doherty’s absence here tonight shows total disregard for the thousands of people engaged in Community Employment schemes right across the State. “CE Supervisors and Assistant Supervisors are looking for the pension they are entitled to. This entitlement was backed up by the Labour Court in their recommendation in July 2008, nearly ten years ago. “While Fine Gael Deputies were quick to praise the work of Community Employment schemes, this appreciation is utterly meaningless when the same Government are denying these workers something as basic as a pension. “In typical fashion Fine Gael has brought forward a do-nothing amendment which I am calling on them to withdraw. The fact that Minister Doherty could not be bothered to be here to speak to her amendment says it all.